M.C. Records is proud to announce that it has signed the voice of the Neville Brothers and the Meters, the youngest Neville brother, Cyril Neville. “Brand New Blues” (MC-0064) marks his first release in eight years and was released in April. “Brand New Blues” contains mostly original material written or co-written by Cyril with the perspective of an outspoken advocate from his work, Amnesty International on Human Rights to the plight of Louisiana’s dissipating Wetlands . 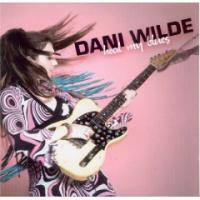 The new release churns up a lifetime of musical influences & passions; blues, funk and soul. 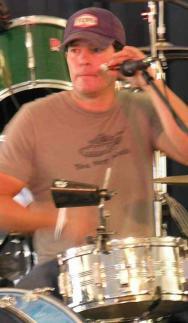 Producer/musician Brian J of The Pimps of Joytime is at the helm of most production chores. 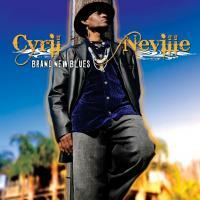 A barrage of support appears on the record from family and friends who help Cyril achieve his vision of what is “Brand New Blues” Guest appearances include brother and fellow Meter Art Neville (Organ & Vocals) Ivan Neville (Organ), Ian Neville (Guitar), Tab Benoit (Guitar), Waylon Thibodeaux (Washboard) and Jumpin’ Johnny Sansone on harmonica The sessions were recorded in Brooklyn NY, Austin TX, Houma LA & New Orleans LA. 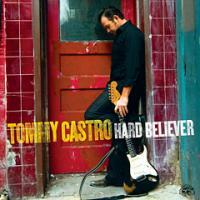 Ever since he first picked up a guitar and started making music, Tommy Castro believed. He believed he would not only be able to make a living playing music, but could develop his own signature sound and style. From his start playing in local Bay Area cover bands to joining the much-loved Dynatones to touring the world with his own band, Castro’s belief in himself has been rewarded. Today he is famed not only for his hard-hitting, impassioned vocals and his blues-infused, rocking R&B sound, but also for his striking, original songwriting and exhilarating stage show. 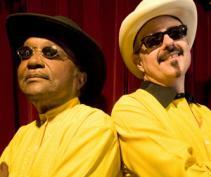 Castro (winner of the 2008 Blues Music Award as Entertainer Of The Year) is recognized as one of the absolute best blues and R&B players, singers and live performers in the world. With his Alligator Records debut, Hard Believer, Castro takes another major step forward in a career that never looks back. Hard Believer was produced by John Porter (B.B. King, Elvis Costello, Buddy Guy, Keb Mo, The Smiths, Otis Rush, Billy Bragg, Roxy Music) and recorded in Castro’s hometown of San Rafael, California. The album is anchored by Castro’s soul-baring songs, filled with profound emotion and fueled by Castro’s powerful vocals and propulsive rhythms. “If there’s no groove there,” Castro told Guitar Player, “I can’t sink my teeth into it.” On Hard Believer, there are plenty of satisfying grooves to bite down on. But what really drives the songs home is Castro’s telepathic interaction with his band. The group operates as a single engine, firing on all cylinders, sometimes pushing the pedal to the floor, other times slowing things down for a simmering ballad. CANADA'S FIRST ALL BLUES RADIO STATION HAS BEEN LICENSED IN OTTAWA! 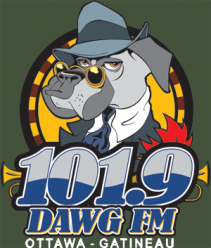 The CRTC today decided to uphold the licence issued to DAWG FM, Canada's first All-Blues radio station, after a reconsideration process that has taken close to a year. On November 21, 2008 Minister of Canadian Heritage, The Honourable James Moore, in a news release announced that Order in Council P.C. 2008-1769 returned the original licence decision to the CRTC for reconsideration sighting the consideration for the needs of Francophones in Ontario. As part of the reconsideration the CRTC also issued a licence to a group of Franco-Ontarians that launched the appeal. Frank Torres, President of DAWG FM, said of the decision "We are pleased with the Decision from the Commission today and look forward to continuing our work to get the station on the air as soon as possible. 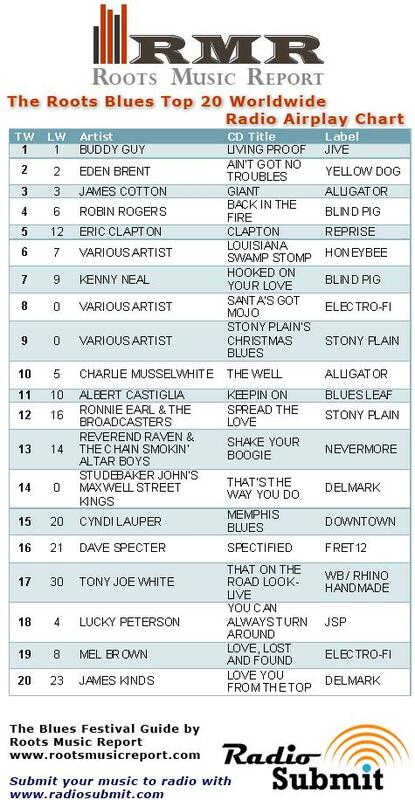 Ottawa is the perfect flagship market for DAWG FM's All-Blues music format. Along with Ottawa's world class Blues festivals, DAWG FM will help make Ottawa "Chicago North" - a focal point for Canadian blues artists to get their music played on FM airwaves". The Torres group was instrumental in engineering a new frequency that will reach the Francophone Community of Ottawa and Gatineau. Torres says "We proposed and engineered the use of 94.5 FM at a significant expense and tested it to prove that 94.5 could provide a quality signal. We are pleased that the Commission accepted our proposed use of 94.5 MHz as a solution that allows the original licences to DAWG FM and Astral to be upheld, while allowing a third FM frequency to be used for the Francophone community". Torres is hopeful that this Decision paves the way for his Halifax Blues station to be approved shortly, "We have a unique application in front of the Commission for an All-Blues radio station in Halifax. The sharing of Canadian blues talent between the Maritimes and the nation's capital is an exciting facet of our business plan, and will provide a cultural blues exchange across Canada". The Tenth Annual Belvedere Blues Festival will kick off in Cañon City, Colorado on Friday, Sept. 11, and continue for three days with a great lineup including Flash Cadillac, Buddy Whittington, Sons & Brothers, Randy McAllister and more! The festival is produced as a community fundraiser by the all-volunteer Belvedere Community Foundation, with proceeds directed to other non-profit organizations in Fremont County. 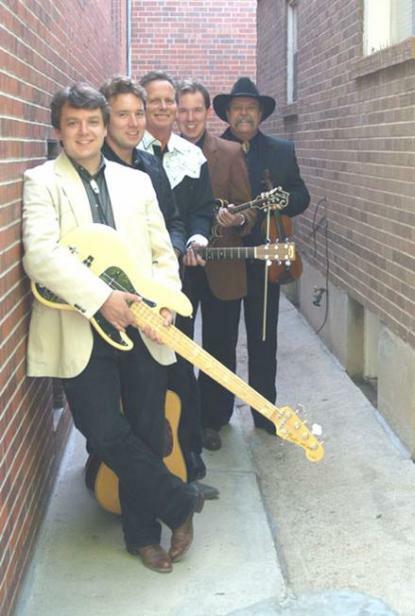 Eleven bands will provide top-notch blues, oldies rock ‘n roll, gospel and bluegrass over the three-day-long event, which is held annually each fall under the cover of huge tents behind Merlinos’ Belvedere Restaurant at 1330 Elm Avenue in Cañon City. 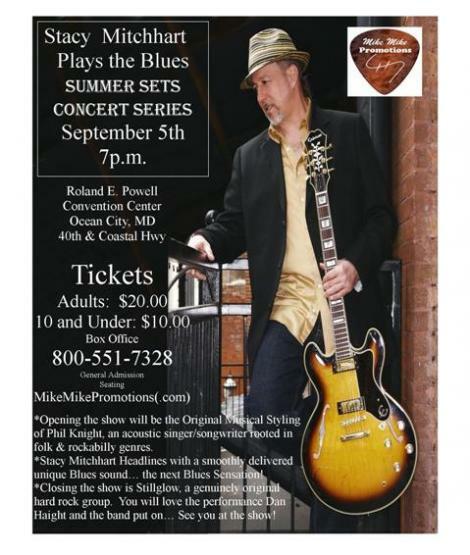 Mike Mike Promotions (.com) welcomes you to the Summer Sets Concert Series on September 5th 2009 (doors open at 6:00p.m. and ends at 10:30p.m.) in the Ocean City Maryland "Roland E. Powell Convention Center" 40th street & Coastal Highway. JACK WHITE'S "FLY FARM BLUES"
Jack White’s “Fly Farm Blues,” his contribution to the upcoming guitar god documentary It Might Get Loud, was released as a download at both iTunes and White’s Third Man Records music store's this week. As the story goes, White wrote and recorded the song in all of 10 minutes, with the It Might Get Loud film crew witnessing the song’s entire genesis and completion. Mount Snow will host the top Blues performers in the nation at this weekend outdoor festival event. Friday night open's up the weekend with an intimate concert underneath our event tent featuring a buffet dinner and the likes of Studebaker John and Missisippi Heat. Saturday Johnny Rawls, Shemekia Copeland, and Elvin Bishop headline the acts as our base area will be transformed into two stages, vendors, food and great blues music. 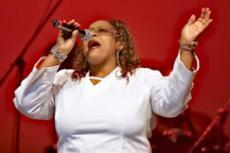 Sunday the soul continues with Lil' Dave Thompson, Mavis Staples, Magic Slim and the Teardrops and many more. Bring your own chairs and blankets to sit on. No outside coolers, food or beverage will be permitted. We love dogs, but they are not allowed at Mount Snow. Sunscreen for the day, sweatshirt for the evening. Over 20 vendors bring some money for souvenirs. ID for will call tickets and beer/wine. MORE BLUES AT THE BARN! Special Jam Session with Johnny Rawls and Friends at THE SNOW BARN!!! Join us for some after party fun as we open up the Barn for the only time this summer! Located right on Snow Lake on the South Access Road. $5 COVER. 21+ ONLY. (GUERNEVILLE, CA) – Russian River’s two major music festivals will be combined into one weekend to provide music fans an exciting weekend of both jazz and blues music. The Russian River Jazz & Blues Festival will be held Sept. 12-13, 2009, at Johnson’s Beach Resort in Guerneville, a popular resort town nestled in the scenic Russian River Valley. This is the first year the two events will be combined into the same weekend. Previously, the Russian River Blues Festival was held in June, while the Russian River Jazz Festival took place in September. Organizers cited the economy and the desire to create something special for attendees as the reasons for change. “This allows us to keep the Russian River festival tradition alive for its 33rd year, while enabling music fans to still enjoy their love of jazz and blues, outdoors in this picturesque setting,” said Rich Sherman, president of Omega Events. “We look forward to welcoming fans back for another year of live music on the river.” The Russian River music festivals have a rich history dating back to the 1970s. Music legends have traveled to Guerneville, including blues artists such as Etta James and Al Green, to jazz musicians Stan Getz and Pat Metheny. Hundreds of thousands of fans have attended the events over the years. 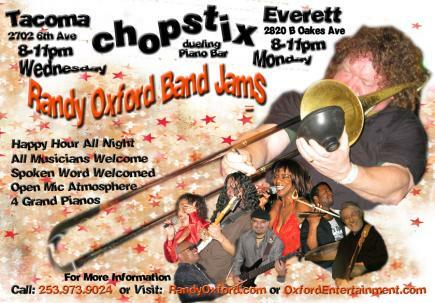 For the event, jazz music will be featured on Sat., Sept. 12, and blues on Sun., Sept. 13. •...and 3 more artists TBA. The festival will feature four headliner performances on the main stage, with two artists on the Wine Garden Stage (each performing two sets). Since his death in 1945, the grave of Blind Willie Johnson, one of the greatest bottleneck-slide guitarists of all time, has been unmarked. Now, thanks to 18 months of research and a dozen visits to the Blanchette Cemetery in Beaumont, Texas by Austinite Jack Ortman, the final resting place of this influential Texas musician will get the recognition it deserves. Johnson's music has always been revered by his fellow musicians. His songs have been covered by Bob Dylan, Eric Clapton, Paul McCartney, Led Zeppelin, the Rolling Stones, White Stripes, Bruce Springsteen, Hot Tuna, the Grateful Dead and countless other artists. More than 30 years after his death, Johnson's recording of "Dark was the Night (Cold was the Ground)" was included on a Sounds of Earth record launched into space onboard NASA's Voyager One. Nearly 60 years after Johnson's death, Texas guitar legend Johnny Winter called that song one of his 10 favorite songs in a Guitar World interview. Johnson's childhood, like his untimely death, was heartbreaking. His mother died when he was a baby; his step-mother blinded him with lye when he was seven years old. (His song "Motherless Children Have a Hard Time" was covered by Clapton on 461 Ocean Boulevard in 1974.) One of Columbia's biggest selling race recording stars during the Great Depression, Johnson recorded 30 songs between 1927 and 1930. When the economy ended his recording career, he became a Baptist minister. He operated a "House of Prayer" in Beaumont with his wife and continued to perform on street corners. In 1945, a fire ravaged their home. With nowhere to go and little funds, they slept on newspapers on their water-damaged bed. Johnson caught pneumonia but was turned away at a local hospital because he was blind (or black, depending upon the source). He died within a week: his final resting place unknown; his grave unmarked. Determined to uncover that page of Texas history, Ortman began making the 230 mile trek from Austin to Beaumont every two or three weeks. "I'm into the history of music and musicians of the Golden Triangle − Beaumont, Orange and Port Arthur, Texas" he explained. "During my research, I kept coming across information that Blind Willie had lived in Beaumont during the 30s and 40s. The sources also revealed that he died in Beaumont. My natural curiosity made me search further and I started finding information that no one was sure where he was buried. That was it, my moment of realization, and I thought, 'What a perfect project for me'." Ortman began researching Johnson's life, collecting books, articles, and CD liner notes. After reading an article in the Austin American Statesman by Michael Corcoran, and a chapter about Johnson in Corcoran's book All Over the Map, he learned that Corcoran had found a copy of the Johnson's death certificate that noted he was buried in Blanchette Cemetery. Ortman headed for that cemetery and met Estraleta Sonnier, the new director of Community Cemeteries, an umbrella organization for several Beaumont cemeteries. He then hooked up with the Tyrrell Historical Library and the Jefferson County Historical Commission and was told Johnson was buried at Community Cemeteries, which had him searching two additional burial grounds. After a couple of dead ends at those cemeteries, he once again focused on Blanchette. Johnson was buried in a pauper's grave in the "colored section" of the Blanchette Cemetery, which has a chain link fence separating the white and black sections. When Ortman discovered his final resting place in July, Johnson had been dead for almost 65 years. Sam Charters, music historian, record producer, and author of The Country Blues, The Legacy of the Blues, and several other books on blues and jazz, searched for his grave in the mid 1950s. Corcoran abandoned his search in 2003. Ortman believed the time was right to try again and credits his success to a number of factors. "Right from the beginning, I felt if I were to have any success, I needed the involvement of all the players, " he said. "My objective was getting to know the people at the cemetery and all the historical commissions on a personal basis. Discovering the location took combining the "Industrial Maps" of Beaumont from the 1920s to the 1960s; having a new director of the Blanchette Cemetery; utilizing overhead aerial photos from satellites in space; timing; and a lot of luck." "I think other researchers had been looking for a gravestone with Blind Willie's name chiseled on it, " he added. "When I found out he was buried in a paupers grave, it changed the focus of my search. After I eliminated all the 'marked' and 'paid for' tombs and narrowed what was left as the paupers graves, I had found the last of the missing 'Blues Founding Fathers'." Requirements for an Official Texas Historical Marker from the Texas Historical Commission (THC) are stringent and require applications to be submitted by a county historical commission. The Jefferson County Historical Commission is submitting Ortman's application this fall. When approved, the THC writes the inscription, requires payment for the marker (approximately $1500, already pledged by an anonymous donor), and has a foundry cast the marker. Ortman plans to host an unveiling ceremony with the Jefferson County Historical Commission when the wait is finally over. 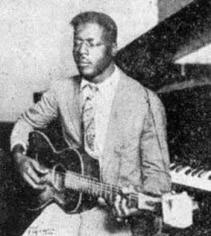 "Well deserved and 65 years overdue, Blind Willie Johnson will finally get the recognition he deserves as a seminal Texas musician, " Ortman added. 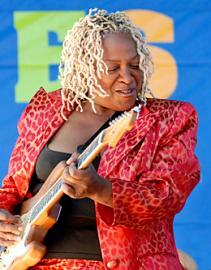 BLUES FESTIVAL GUIDE MAGAZINE EDITOR NOMINATED FOR 2009 SAN DIEGO MUSIC AWARDS "BEST BLUES"
Blues Festival Guide Magazine editor Michelle Lundeen has been nominated in the "BEST BLUES" category for the upcoming San Diego Music Awards. Congratulations and good luck Michelle! To see all the nominees & to vote for your favorites click on link. Iowa Public Radio has added a stand alone blues show to their Studio One stream of programming. Bob Dorr, the host of "Blue Avenue" (Sundays 5-6:30pm) would like to be added to any and all promotional lists for inclusion on this statewide distributed program. Bob Dorr, POB 14, Cedar Falls IA 50613-0010 or Bob Dorr, Iowa Public Radio, 3rd Floor CAC, Cedar Falls, IA 50614. Get ready for a fantastic evening under the stars enjoying the Blues with renowned songstress Pamela G, along with gaming tables and an authentic barbecue dinner. This denim chic, casual evening is not to be missed! 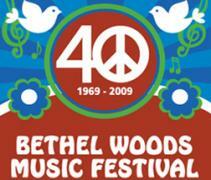 The 40th anniversary of Woodstock is coming up and fifteen-year-old music prodigy Conrad Oberg, of Jacksonville, Fl., has been invited to open the festivities in Bethel Woods on Aug. 15 at Bethel Woods Center for the Arts, the site of the original concert in 1969. Mellow Mushroom is sending him to Woodstock by covering all of his travel expenses. Cartoon Network named him the most talented teen musician in the country in 2008 and he has shared the stage with blues greats such as Pinetop Perkins and Robert Randolph. Conrad Oberg is also legally blind. Oberg, of Jacksonville, FL, is traveling from Jacksonville to Bethel Woods in a bus decorated by Mellow Mushroom staff and will stop at the Mellow Mushroom in Raleigh for dinner and meet and greet. He will be at Mellow Mushroom, 601 W. Peace St.
A well-known fixture in the blues community since he was nine years old, Oberg was invited by the Heroes of Woodstock to kick off the event with a performance of the "Star Spangled Banner" in the style of Jimi Hendrix. Other event performers include original "Heroes of Woodstock" Richie Havens, Big Brother and the Holding Company, Canned Heat. 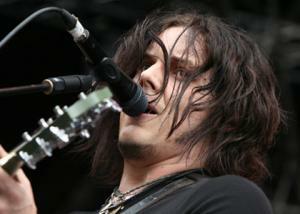 "I learned to play electric guitar by listening to Jimi Hendrix play at Woodstock," said Oberg. "I can't even tell you what an honor it is [to play at the Woodstock 40th anniversary celebration]. I feel like I'm standing in for a friend that would have loved to have been there, and I can only hope that he would've been proud of the job I do." Conrad Oberg's journey to Woodstock started Tuesday. He will arrive in Bethel Woods in time for the concert on Aug. 15 and will chronicle his journey up to Woodstock through videos posted on participating Mellow Mushroom websites and Facebook pages. "Mellow Mushroom believes that an amazing kid like this should be supported by his community to pursue opportunities like this," said Jacksonville Mellow Mushroom owner, John Valentino. "We are proud to help Conrad make this dream a reality." Columbus, OH (Vocus/PRWEB ) August 12, 2009 -- Brand Thunder LLC, the custom browser specialists, announced today an agreement with House of Blues to deliver a customized Internet browser experience that celebrates the music and art it brings to its fans. Experiencing House of Blues is a true event from the top-name music acts, to the eclectic mix of folk art to the Southern-inspired dining. Brand Thunder’s browser Booms! bring that kind of immersive experience to the Internet browser. A Boom! is unlike other browser-based tools with its visual takeover of the browser, integrated toolbar for content and functionality, plus the multimedia sidebar for videos, photos and more. The House of Blues browser Boom! is expected this September. WHEN: Wednesday, August 26, 2009 – 7 P.M. The benefit concert will feature three nationally renowned acts--Louisiana bluesman Kenny Neal, soul vocalist Jackie Payne with guitarist Steve Edmonson and “Lady Guitar” Pat Wilder. There will also be a raffle of posters, CD’s, T-shirts, and festival related memorabilia. The Arkansas Blues and Heritage Festival (formerly known as King Biscuit Blues Festival) is presented by the Sonny Boy Blues Society, a 501 c 3 organization. 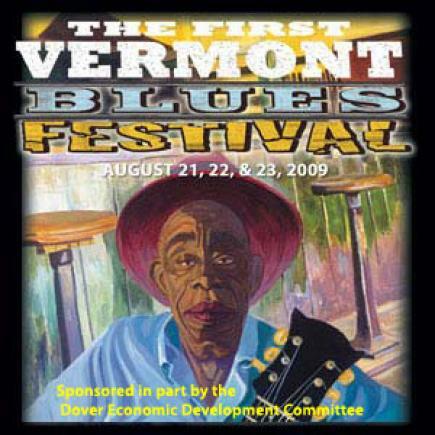 The King Biscuit Blues Festival began in 1986 as a one-day musical tribute to the Blues roots of Helena and the man at those roots, Sonny Boy Williamson. What started out as a small festival has gained a reputation throughout the world and is now a three-day affair. 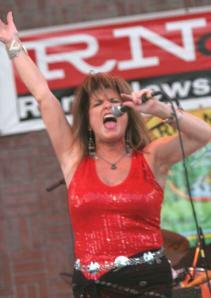 The 24th annual festival will be October 8, 9 and 10, 2009 in Helena, Arkansas. With dwindling corporate sponsorship, festivals are experiencing financial hardships and this benefit concert will be an opportunity to support a valuable blues cultural resource. Please give yourself a free link on our website. 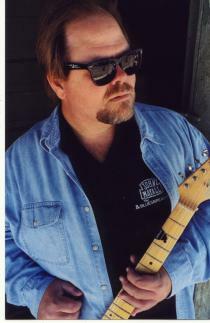 Simply go to www.BluesFestivalGuide.com, click on Submit Band/Business and fill in the blanks. Our site receives over a millions hits per month and we will drive traffic to your site! JJ Grey & Mofro, the Jacksonville, Florida-based swamp, blues, rock, funk, and soul band, have announced a major North American fall tour. In addition to headlining theatre and festival dates, the band will share four dates with blues guitarist/vocalist Susan Tedeschi and three dates with guitarist Derek Trucks. Then, in late September and running through November, JJ Grey & Mofro will embark on a co-headlining tour with country rock outlaw Shooter Jennings and special guest Earl Greyhound. 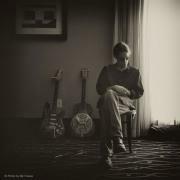 Grey's most recent CD, ORANGE BLOSSOMS, has been hailed by USA Today as “intoxicating North Florida blues-rock, with hints of Memphis, Muscle Shoals and garage-band music.” In every song he writes and sings, Grey exudes rocking, funky, melodic front-porch realism. He comes from a long tradition of Southern musical storytellers. His multi-textured music is filled with dynamic rhythms and thought-provoking lyrics. 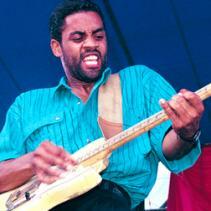 From raw funk to deep soul, blues and rock, JJ and his band, both on CD and live, are simply devastating. AUGUST FIFTEENTH IS THE FORTIETH ANNIVERSARY OF WOODSTOCK. A NEW CUT OF THE FAMOUS DOCUMENTARY, A PHENOMENAL BOXED CD SET FROM RHINO, AND A NEW MOVIE FROM ANG LEE - ALL MARK THE OCCASION. AND WE WILL MARK THE OCCASION AS WELL. FROM A BLUES PERSPECTIVE. WOODSTOCK. THREE DAYS OF PEACE, LOVE…AND THE BLUES. NEXT TIME, ON THE HOUSE OF BLUES RADIO HOUR. for times and stations in your area. Festival Promoters got a festival you'd like to include?